We are availing our clients an extensive gamut of Linear Guide Tools. Extensively used in various application areas, these products are designed strictly in compliance to the international quality standards. Owing to their reliability, longer functional life and excellent performance, these products are highly demanded by the customers. In addition to this, we provide customization as per the exact specifications detailed down by the customers. Further, customers can avail these produces from us at market competitive prices. 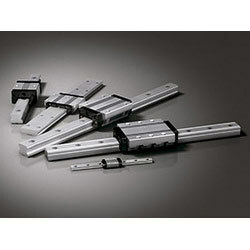 We are prominent business entity engaged in offering an extensive range of Linear Guide Way. These products are procured from the reliable vendors of the market, who manufacture them using superior quality raw material procured from the trusted vendors of the market in strict accordance to international quality standards. Owing to their rigid construction, easy operation and longer service life, these products are highly appreciated by the customers. 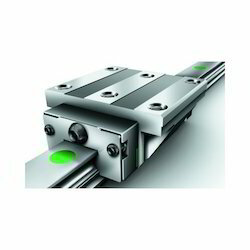 We are offering our clients a commendable range of ABBA Linear Guide. These products are manufactured st our vendors end using high-quality raw material and latest technology in accordance to international quality standards. A team of quality controllers rigidly test these products on various parameters to ensure flawlessness. Owing to their easy operation, high performance and robust construction, these products are highly demanded among the customers. 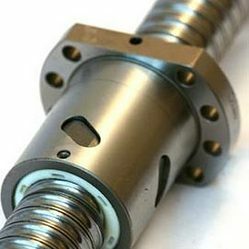 We are offering our clients a complete range of High Precision Linear Motion Unit Guide. These products are manufactured at our vendors end using superior quality raw material in accordance to international quality standards. Extensively used in various industries, these products are highly appreciated by the clients for their excellent performance, easy operation and robust construction. Further, customers can avail these products from us at market leading prices. 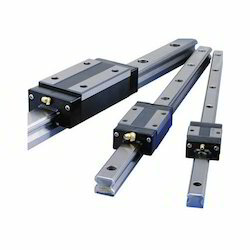 Miniature Linear Guide Way is our main product, which incorporates a component with a linear rolling motion into practical use for the first time in the world. It significantly contributes to the development of high-precision, high-rigidity, energy-saving, high-speed machines with long service lives. Precision Rotary Motion technology is a combination of very high precision rotary drive systems, high torque rotary brakes, and mechanical torque limiters, all delivering zero backlash. Nexen’s Roller Pinion Gears and Gear Segments (RPG) and fully integrated Precision Ring Drive Systems (CRD and PRD) drive rotary motion with very high precision and zero backlash. Nexen Servo Brakes (SBP) and Indexer Brakes (I*300) provide spring engaged, air released, zero backlash holding and emergency stopping in rotary applications. The zero backlash Mechanical Torque Limiters (MTL) reduce machine downtime caused by torque overloads. 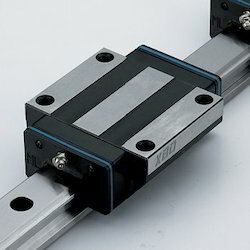 Looking for Linear Guide Tools ?